The Soundtrack Edition is available on GOG.com and as DLC on Steam. Default fullscreen option is borderless. See Unity. Post-process anti-aliasing can be injected with ReShade. Once plugged in, the controller has to be assigned in the controls menu first. Error creating thumbnail: convert: Expected 8192 bytes; found 8151 bytes `/tmp/localcopy_ef7bfb2dd710.png' @ warning/png.c/MagickPNGWarningHandler/1654. convert: Read Exception `/tmp/localcopy_ef7bfb2dd710.png' @ error/png.c/MagickPNGErrorHandler/1628. convert: no images defined `/tmp/transform_3515cd7b85dd.png' @ error/convert.c/ConvertImageCommand/3258. Error creating thumbnail: convert: Expected 8192 bytes; found 8151 bytes `/tmp/localcopy_b7f9754330da.png' @ warning/png.c/MagickPNGWarningHandler/1654. convert: Read Exception `/tmp/localcopy_b7f9754330da.png' @ error/png.c/MagickPNGErrorHandler/1628. convert: no images defined `/tmp/transform_2a9378b8b623.png' @ error/convert.c/ConvertImageCommand/3258. Language is tied to the OS language. Tools like NTLEA can be used to emulate a different OS language for applications without having to change it in Windows itself. 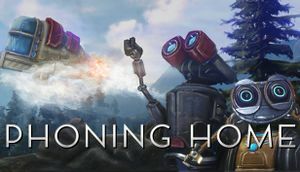 See Helix Mod: Phoning Home. A 64-bit OS is recommended. ↑ 2.0 2.1 File/folder structure within this directory reflects the path(s) listed for Windows and/or Steam game data (use Wine regedit to access Windows registry paths). Games with Steam Cloud support may store data in ~/.steam/steam/userdata/<user-id>/431650/ in addition to or instead of this directory. The app ID (431650) may differ in some cases. Treat backslashes as forward slashes. See the glossary page for details. This page was last edited on 17 April 2019, at 17:28.